A counselor from Clinton County Senior Services will be at the library on Wednesday October 31. Free unbiased help with Medicare part D prescription plans will be given. Call 594-2321 to make an appointment. Remember, open enrollment for making changes to your Medicare part D drug plan runs from Oct. 15 through Dec. 7 this year. 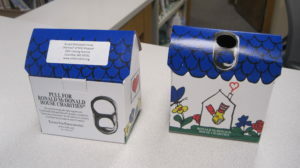 We’re now a drop off point for aluminum can tabs for Ronald McDonald house. If you save tabs, we’d appreciate you dropping them off at the front desk of the library. Don’t forget, you can also save your plastic bottle lids and bring them to the library. Those are taken to school for new park benches. Thanks! 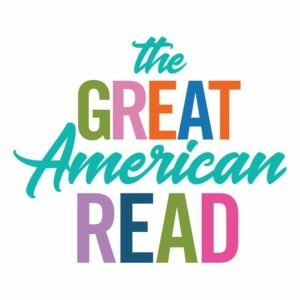 Have you heard about “The Great American Read”? It’s a PBS initiative to get Americans reading and talking about our favorite books. You can even vote for your personal favorites! We’ve got lots of these gread reads at Germantown Library and can borrow any others you may want through interlibrary loan. Many of these books are on display at the library, along with copies of the list of the top 100 that you can take home. See how many you’ve read, find some new titles and be sure to vote. Go to http://www.pbs.org/the-great-american-read/books/#/ to find out more and cast your ballot. Even though our special events of the summer reading program have ended (check out all the great photos on our Facebook page), don’t forget you can keep reading and earning prizes through the end of July. Twelve youngsters have already completed all their goals and earned all 5 prizes. You can too! Keep reading, have someone take your picture while reading and keep your skills sharp. The first day of school is right around the corner. The last event of this summer’s “Reading Takes You Everywhere” program will be Saturday, July 14 at 10am. Mad Science of St. Louis will be here with their Up, Up and Away show, all about air and motion. They’ll bring a hovercraft, a mini hot air balloon and lots of silly, crazy science experiments. Everyone who comes will win an attendance prize and we have some great ones, from St. Louis cardinals tickets, jigsaw puzzles and reusable drink bottles to a handmade fleece throw.